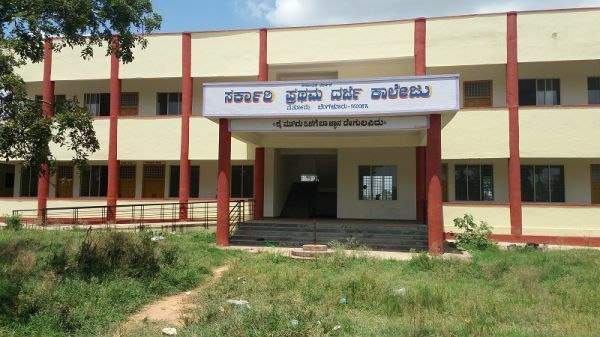 THE GOVERNMENT FIRST GRADE COLLEGE, VARTHUR, BENGALURU – 560 087 was established in the year May 2009. The College is located at Varthur surrounded by economically backward communities, though the college comes under Bangalore Urban Locality. The Institution predominantly have labour class students from diverse socio- cultural background and this cross cultural interaction has facilitated better learning enviornment. The students are not only prepared for academic excellence but prepared to become active participants in pluralistic society. Thus the Mission andvision and ives of the College is to bring transformation among young students through comprehensive education by inducing qualities of Civic Sense, Competence, Confidence and Excellence and mould them to be better human being and Citizens.